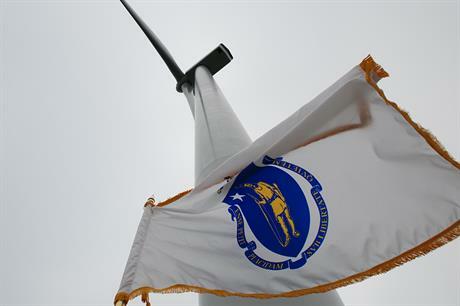 Massachusetts is considering doubling its solicitations of offshore wind to 3.2GW. The first round of solicitations for 1.6GW of offshore wind is already under way, meaning the new goal could add a further 1.6GW by 2035, Windpower Monthly confirmed. Officials at the commonwealth's Department of Energy Resources (DOER) are currently evaluating the potential for the new capacity of installations off the north-eastern state. This emerged when Judith Judson, a commissioner with the Massachusetts DOER, met with the Environmental Business Council of New England. "We're launching an offshore wind study to look at... whether we can get an additional 1,600 MW," she said last week at the meeting, according to a report by RTO Insider. The report will evaluate previous procurement processes, consider improvements and undergo a cost-benefit analysis regarding the state's energy goals and consumers. The report is due to be issued by 31 July. Preliminary results of the first solicitation were announced in December, with three developers submitting bids for up to 800MW. Vineyard Wind, a joint venture between Avangrid Renewables and Copenhagen Infrastructure Partners; Deepwater Wind, now part of Ørsted; and a partnership between Ørsted and Eversource all responded to the solicitation. The next request for proposals for up to 800MW will be issued before July. Records were shattered as developers bid a total of $405 million in a federal auction for three lease areas in Massachusetts in December. Equinor, Vineyard Wind and Mayflower Wind Energy (a JV between Shell and EDPR) were named as the provisional winners. The value of the winning bids were more than triple that of the previous highest lease bid in the US Bureau of Ocean Energy Management (BOEM) process.